Welcome to Advanced Mind Body Healing and Intuitive Readings with Rheanni Lightwater – Author, Certified Hypnotherapist, Kinesiology Practitioner, Regression Therapist & Bio-somatic Educator. 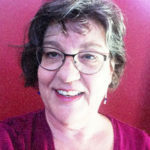 Rheanni is a Reiki Master/Teacher and uses Reiki as the energetic foundation for all her mind body healing sessions including the Intuitive Learning Circle™ method. 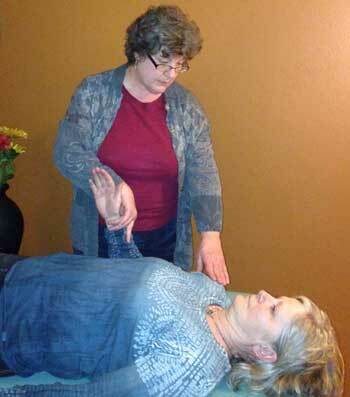 Learn more about Rheanni’s background and approach to mind/body healing. 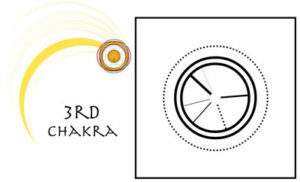 Integrated Energy Clearings are done seated or on a bodywork table where you are fully clothed. Additional modalities may be utilized as needed – Hypnotherapy, Applied Kinesiology, Cranio-sacral Therapy, Somatic Education, Flower Essences and Regression Therapy. Call Rheanni to discuss your needs – (505) 271-4612 or email her at soulresources@gmail.com. This symbol can help you focus on what kind of session that would be most useful to you at this time. Take a moment and simply gaze at it with soft eyes. Take a few breaths and settle into yourself. The work that Rheanni specializes in fits into one of six categories that are described below. Before you check them out, tune into your intuition and ask for a number between 1 and 6. Take whatever number comes and then scroll down and read about that category of mind body healing. If you don’t get any number, that’s okay! 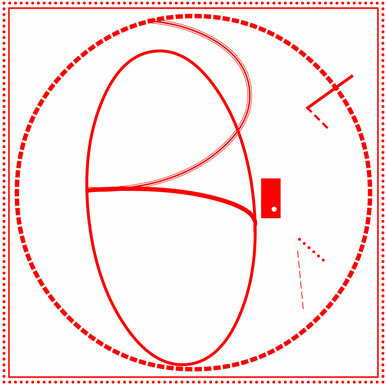 It just means that this type of work would not be helpful to you at this time. Timing, the correct modality and the appropriate practitioner is an essential part of any effective healing program. 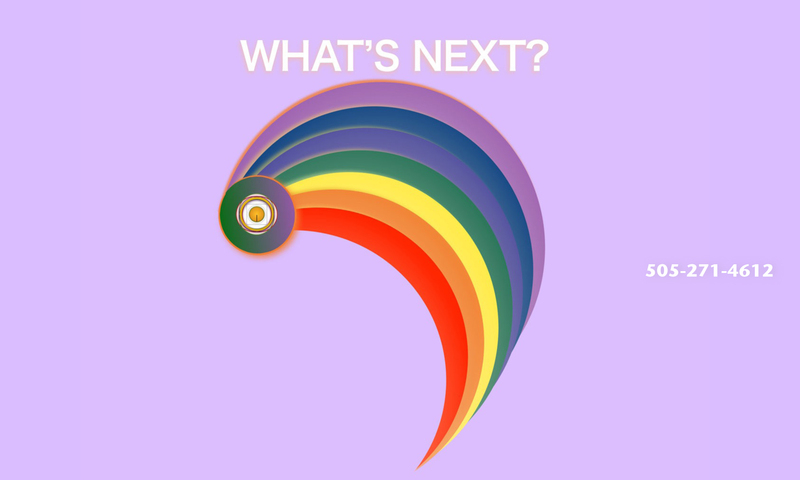 Confused, overwhelmed or dealing with anxiety about the future? Grieving or recovering from a serious loss? Needing serious self care techniques for trauma, serious illness, even PTSD? A highly sensitive or empathic person, struggling to stay in balance? Caught in a power struggle and wanting to find a peaceful way out? Motivated to reprogram yourself to be happier and love yourself more? You can experience a breakthrough with advanced Mind Body Healing protocols* that utilize a blend of hypnosis (creative visualization) with the Intuitive Learning Circles™, cranio-sacral therapy, muscle testing and energy medicine. Transformation can occur on all levels of the body, mind, spirit, in accordance with your highest good. You may access trans-personal visions and receive spiritual guidance from your Higher Self and the Angelic Realms to facilitate your spiritual growth. Clients report significant stress relief and feeling lighter with more energy and clearer mental focus. 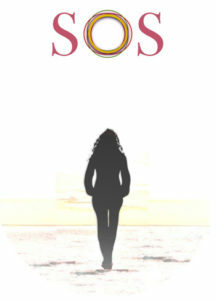 Rheanni uses the SOS Soul Oriented Solutions Journal for ongoing support. Sessions are $120.00 for 90 minutes. Rheanni’s unique form of balancing is done with you in your own environment, be it a home or business setting. Negative patterns of energy are cleared and then your space is aligned to generate energy for your goals. This option has a distinct advantage because YOUR ENERGY is balanced at the same time that YOUR ENVIRONMENT is cleared and set up to support you using feng shui principles (five element theory). Feng Shui is the Chinese art of flow and placement that attracts the natural flow of harmony and prosperity into one’s life. Since 2002, the Right Livelihood and Manifest Happiness Circles have been a powerful motivating force for freedom loving individuals who want to go beyond wishful thinking and actualize their heart’s desire. Obstacles to success are transmuted in a class setting and participants learn how to create happiness on all levels – physical, mental, emotional and spiritual. 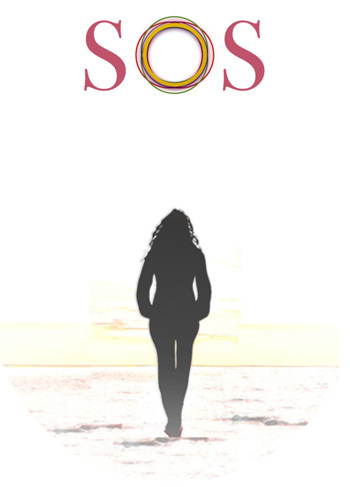 In 2018, Manifest Happiness Circles are focused on creating a new environmental and behavioral template that will help us manifest common ground, co-operation and female/male balance in the New Paradigm. This integrative process helps us stay grounded as we adapt to radical change with courage and resiliency. By participating, you will learn best practices to help you love yourself, be kind to yourself and be true to who you are. Online over Skype, Zoom or in person. $120.00 for a 90 minute session. ~ Make key corrections that affect what you attract. A mind/body/spirit approach to health issues that spring from toxic build up from viruses, chemical sensitivity, electro-magnetic or heavy metal poisoning. All energy systems are evaluated and rebalanced to enhance and speed up the detoxing process. Rebalancing Cellular Resonance is a series of medical intuitive sessions used to identify destructive energies that are creating imbalance, disharmony or stagnation in the body, mind and spirit. These are effective protocols for reprogramming metabolic dysfunction and hormonal or steroidal imbalances caused by MSG, Gluten allergies and other toxic influences. Due to the sensitive nature of this work, sessions can only be done in person and a complementary initial interview with Rheanni is required to determine if this program would be effective for you. Call 505-271-4612. Sometimes a Past Life Clearing using a blend of creative visualization, muscle testing and energy medicine is preferred over traditional Past Life Therapy using hypnosis. The reason is usually because either there are multiple past lives that need clearing or the unconscious material that needs to be released is too traumatic for the person to process safely in the usual way. Initially, the person shares their concerns with Rheanni in a telephone or in person interview. Then, an appropriate intention for the clearing is established that will help the person to move forward without the compulsion to repeat. Soul retrievals, multiple past lives and trans-generational issues that have been handed down through the DNA are often involved with healing emotional pain of this kind. As a result, negative energy and harmful mental emotional patterns that are operating on an unconscious level are brought to light and resolved. All sessions are $120.00 for an hour and a half. Additional time is prorated. Learn more or call Rheanni to discuss your needs – (505) 271-4612. Intuitive Readings are a powerful form of energy clearing and mind body healing that can change the direction you’re heading, transform your life and redirect how you are using your energy. You can schedule a long distance intuitive reading/session with Rheanni (Ray-ah-nee). Call her at (505) 271-4612. 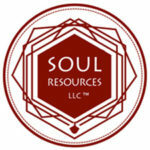 Soul Resources LLC accepts cash, checks and you can use a credit card through Paypal or Square. Call (505) 271-4612 for your initial Mind Body Healing consultation and availability for workshop or speaking engagements. 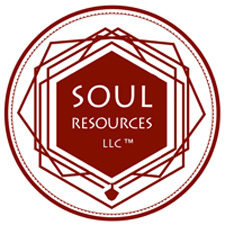 In person appointments take place at Soul Resources, LLC located in Santa Fe, NM. An intuitive consultation is not a substitute for professional medical care and diagnosis. I can not give you a diagnosis and I can’t prescribe. If you are ill or injured, please seek the assistance of a qualified medical practitioner.